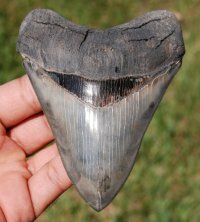 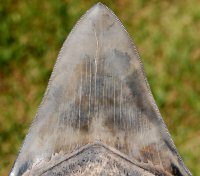 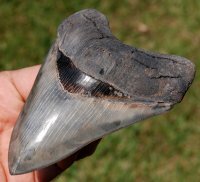 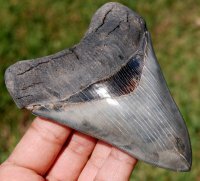 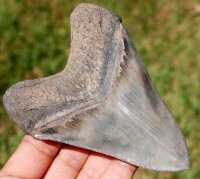 Fine South Carolina Megalodon Tooth [MEG2074] : Fossils Online, Welcome! 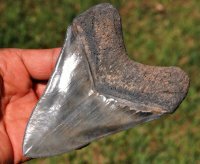 Outstanding collector quality tooth that only has two half nicked serrations. 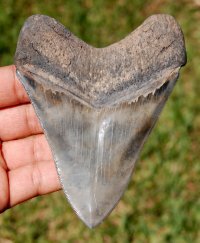 Highly detailed root, symmetrical shape, great color to name a few qualities that make this tooth stand out.